You have come to the right place if you are looking for fun, engaging and exciting Letter J activities to do with toddlers, preschoolers and kindergartners. Our activities are widely used by teachers, moms, dads, child care providers etc. for learning and teaching while being fun for the kids! You can make them out of paper, or make real ones out of pumpkins. Make jewelry by stringing beads on dental floss. Paint or finger paint with jello. It has a good smell! Use several different flavors. Make a simple jack in the box by using an empty small shoe box. Tape the lid onto the box on one side, cut a slit in the bottom of the box. You can cut out figures of people or animals from magazines and cover with clear contact paper. Use clear postage tape to adhere to a craft stick, Insert the stick through the bottom of your box. When you push up on the stick the lid should pop up. Or you can put the same stick in a paper cup and have the figure pop in and out of the cup. Make small jack-o-lanterns using oranges. Draw on the faces with a black marker. Paint paper plates orange. Put two paper plates together adding a green stem between the plates. Staple around the edge leaving space to add beans inside. Finish stapling. Let the children decorate with black construction paper shapes. Make creatures out of junk such as bottle caps, empty clean milk jugs or cartons, aluminum pie-plates, lids, etc. Make junk prints using the above items or potato smashers, toothbrushes, sponges, pastry blenders dipped into paint and then pressed onto paper. Jumping races, jumping rope, jumping over things. Pretend to be Jack Be Nimble and jump over a candlestick. Do jumping Jacks, jog. Have many different jars and lids on a tray. Children can match the correct lid to the jar. They can arrange them by size. Arrange your dramatic play area to be a jumbo jet. Have different jewelry available for dress up. Dramatic play area can be a jewelry store. Bring in an oversized jar, and have the children put a picture of something that begins with J in the jar. You can then play a game, that each child picks a picture out of the jar and has to name it. 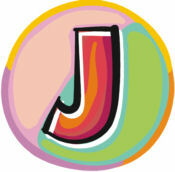 Take the children on a journey walk and see if you can see anything that begins with “J” . 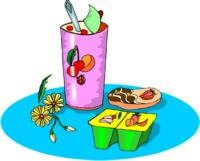 Talk about where you will go, and afterwards have a snack with crackers and different jams. Jump rope together, and teach the children different jump rope rhymes. I like to sing with the girls(boys) and the girls(boys) like to sing with me. Get different sizes of jingle bells and other items that jingle like keys and see if the children can identify the objects. Have the children close their eyes and sample different flavors of jelly beans. See if they can determine what flavors they are tasting. Before the children arrive, place J items (jack-in-the-box, jar of jam, jug, jacks, etc) in full view. After they all arrive play I spy a J object in the room and give clues until they find it. Send a note home that tomorrow is joke day. Each child will be allowed to tell one joke. Read a children’s joke book. Invite a Japanese person to your class. Make some Japanese food or visit a Japanese restaurant. Estimate the number of jelly beans in a jar. Count and graph jelly beans by color. Look at jungle pictures. Talk about jungle animals. Make a candlestick by putting a flame cut out of yellow paper into a toilet paper roll. Say the rhyme as the children line up and jump over the candlestick. Make your own. Draw a picture on some paper with lines already drawn on it, then cut on the lines and put it back together again. Play music on different-sized jars with varying amounts of colored water in them. Have the children count how many are wearing jeans, count the pockets in the jeans. Wow! how many kinds of juice can you and your children make? talk about fruit juices and vegetable juices. What kinds of fruit and/or vegetable juice can we buy? You will need clear gelatin, food coloring and eyedroppers. Make Gelatin, then once it’s formed, place in a sensory tub. Have plenty of eyedroppers for each of the children to use and several colors of food coloring. Have the children fill the eyedroppers with food coloring and insert into the clear jello. The kids will get a kick out of watching the color fill the molds! Teach the children how to do jumping jacks. Count the number of times you can do them, see how high you can count. You can also call out the letter “J” every time you do a Jumping Jack. List different jobs on slips of paper, put them in a jar. Let each child choose one and act it out like charades. Give each child a half of an English Muffin. Spread pizza sauce on it. Let children break American cheese slices into shapes for eyes, nose and mouth. Bake at 400 until cheese melts slightly. Mash together 1 tsp of honey, 2-3 drops of lemon juice, and one cup of thawed and drained frozen berries (any kind) (This recipe works well for younger children). Get a large cereal box from the store and paint or color it like a jack in the box. Completely remove top of box so it is easy to get in and out. Children then take turns being ” JACK ” Recite this poem while each child takes his/her turn. Jelly beans are fun to eat. They are such a silly treat. Sometimes they are hard to chew. I think they are my favorite treat! Jack- in – the – box all closed up tight, not any air, not any light. My but it’s dark down here in a heap. Let’s open the lid…..
And jam for little me. Damson jam and bramble jam. And apple jam for me. Over the wall and up in the air.